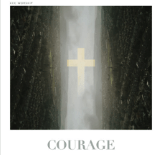 Kings Community Church (KCC) has released its first Single EP- ‘Courage’. Within a day, ‘Courage’ had hit No 1 in the Christian charts. Courage is available to purchase and download on all major platforms. Courage will be played on our Air Play Plus play list over the next few weeks. An Easter EP Single will be released this Friday 19 April.